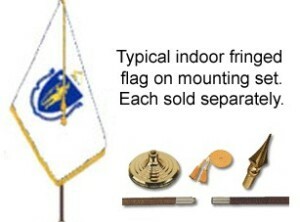 View cart “Mounting Set for Indoor Flag – 8 ft Pole” has been added to your cart. Glossy gold ABS weighted floor stand. Flag made in the U.S.A. by Annin.